Left to right, Senators Joe Donnelly, Debbie Stabenow, Gary Peters and Michigan Department of Agriculture and Rural Development Director Jamie Clover Adams at a press conference in St. Joe Monday morning. 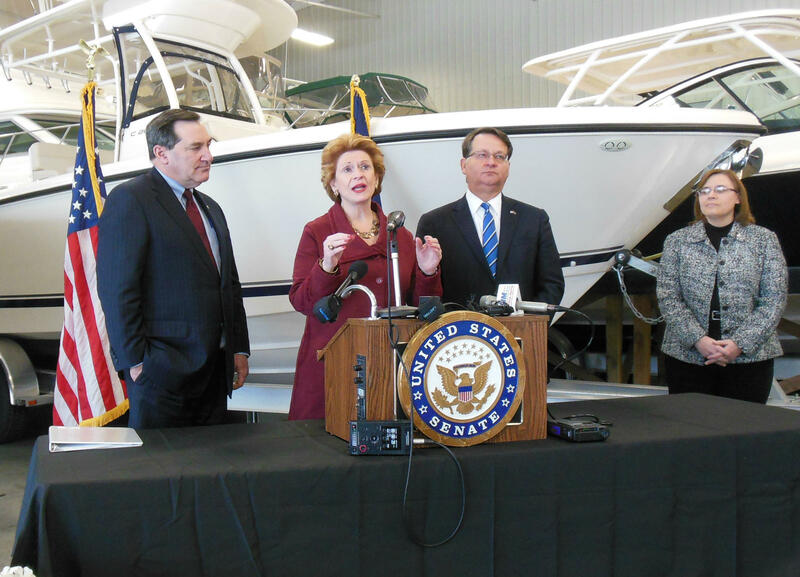 Today, Senators Debbie Stabenow, Gary Peters, both of Michigan, and Joe Donnelly of Indiana joined state and local representatives at a marina in St. Joseph to highlight the investment. 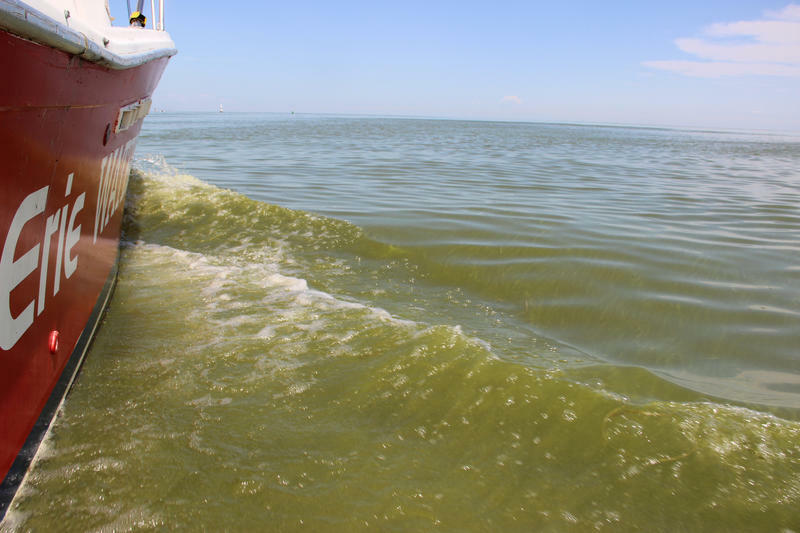 Sediment and fertilizer pollutes nearby watersheds and can make it difficult for boats to navigate rivers and lakeshore ports. “Keeping (soil and fertilizer) on the land is cheaper and there’s a lot more benefit to the grower, so everybody wins from that,” said Jamie Clover Adams, director of Michigan’s Department of Agricultural and Rural Development (MDARD). As an example, the new grant program is expected to keep some 3,000 dump trucks worth of sediment out of the St. Joseph River each year. “Every farm is different. Every farmer is different. So this is personalizing looking at the farm itself – what are those risks and then bringing the resources to bear,” she said. Farmers would have to help pay to fix problems that contribute to water pollution from their farms. But the government would provide matching money. Clover Adams says the new initiative “pairs nicely” with a voluntary one already operated by MDARD.